That was Karen Bordeleau’s first thought after reading Tom Wolfe’s “The New Journalism,” which she received on her 16th birthday. That book, along with the Watergate scandal, spurred her interest in journalism, which would turn into a successful career. “The fact that it forced a state to bring down a president by diligent reporting amazed me, and I wanted to be a part of that,” Bordeleau, a Rhode Island native, said about the Watergate coverage. Bordeleau began her journalism career with an internship at The Kent County Daily Times in West Warwick, R.I. Her first front-page story, about a class trip to Austria where she and her classmates misjudged their skiing levels, was published when she was 18. She wrote about the experience. Bordeleau pursued a bachelor’s degree at Northeastern University’s journalism school. She landed her first co-op internship at The Call of Woonsocket, R.I., and immediately found herself drawn to the energy of the newsroom. 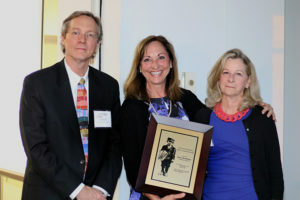 After graduating from Northeastern in 1982, Bordeleau returned to the Kent County Daily Times in 1989 and the Call in 1994, both newspapers where she previously interned, as an editor. 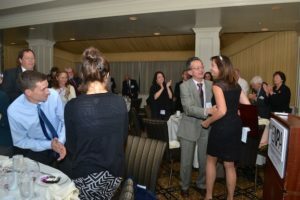 Bordeleau became a reporter at The Providence (R.I.) Journal in 1996, climbing the ranks until becoming, in 2013, its first female executive editor. Bordeleau said of her role as executive editor: “It’s like guiding a child or raising a child. You’re always protecting the child. It is always protecting the integrity of the brand no matter what you do, no matter where you are. In February 2003, a fire in a West Warwick nightclub, The Station, killed 100 people. The Providence Journal launched a nearly year-long investigation into the fire, uncovering fire code violations and the installment of a flammable sound insulation material. The Journal then contacted and interviewed the families of victims to depict the lives that were affected. The coverage made the Journal a Pulitzer Prize finalist. Bordeleau was one of the two primary editors for the series. Bordeleau took her passion for naming the voiceless to Pakistan, where she was invited to participate in a journalist exchange program by the International Center for Journalists in Washington, D.C. While teaching news management and advanced reporting courses in the Pakistani cities of Lahore and Karachi in 2015, Bordeleau noticed that publications would report the number of terrorist attack victims, but not give any context about who they were. “It’s unnerving because they don’t really explain or hadn’t explained who these people are and the impact of that loss,” she said. Bordeleau decided to bring that into her classroom curriculum for the working professionals taking her courses in Pakistan. “I was explaining how we did the Station fire and challenging them to tell their country who is lost in these impacts,” she said. In December 2014, there was a terrorist attack on a school in Pakistan that killed 141 people, 132 of whom were children. After taking Bordeleau’s news management course, a Pakistani online editor led an initiative to locate the children’s families and discover who the victims were, similar to the coverage of the Station fire. “It explained to Pakistan what was lost in that terrorist attack. It wasn’t that 141 people died. It was that these were people, and that they’re not there anymore. They’re not going to grow up and be doctors, or veterinarians, or teachers, and that was very impactful,” Bordeleau said. In addition to The Station series, Bordeleau oversaw a year-long explanatory piece titled “Race in Rhode Island,” published in 2015 by the Providence Journal. There was an obstacle to covering that topic. “How could we tell this story with a white staff?” Bordeleau said. To alleviate that obstacle, a group of 16 people was formed to serve as “eyes and ears in diverse communities.” Bordeleau said members of the group, which included the president of the NAACP, a Muslim doctor, and a Latino professor, would meet for a few hours every month. “We wanted to make sure that we were telling the right stories, not just the stories that white people think are important,” she said. Even with the presence of the sounding board, Bordeleau felt nervous about covering certain stories, such as a story about the “n-word,” and “minority.” Bordeleau sad that the pieces were received well, however, and showed that minority communities aren’t a monolith. Bordeleau has received many awards, including the Judith Brown Spirit of Journalism Award in 2016 and the Yankee Quill Award in 2014. She was named one of the 30 Most Powerful Women in Rhode Island by Rhode Island Monthly in 2014 and was named one of the Top 10 Women to Watch in Media by Editor & Publisher in 2013. 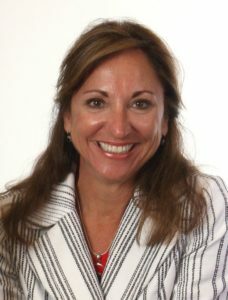 She was elected president of the New England First Amendment Coalition in January, has been selected as a Pulitzer Prize juror twice, and has served on the board of directors of a nonprofit housing developer in Rhode Island called Women’s Development Corporation and of the Metcalf Institute of Marine and Environmental Reporting at the University of Rhode Island. That list of recognitions and accomplishments does not include all of her distinctions, and it does not include what Bordeleau considers her most important achievement. Between her family and career, Bordeleau finds time for herself on the competitive ballroom dance floor. Bordeleau didn’t get to this point alone. She notes that William Kirtz, one of her Northeastern journalism professors, and Thomas Heslin, the Providence Journal executive editor before her, were important mentors in her life. Bordeleau is continuing her 20-plus year teaching career. She began teaching in 1996 at the University of Rhode Island, and later has taught at Emerson College and Northeastern University, focusing on newswriting and journalism ethics. Being in a classroom rejuvenates Bordeleau’s love for her field, as she learns about the newest social media trends while cultivating her students’ passions for journalism. Bordeleau also taught two journalism ethics courses earlier this year at the Walter Cronkite School of Journalism and Mass Communication at Arizona State University as an Edith Kinney Gaylord Visiting Professor of Journalism Ethics. “I’m really humbled to have been invited to teach there,” she said. In the era of fake news and alternative facts, Bordeleau thinks that one of the most important roles of journalists is to protect the integrity of the profession. Bordeleau thinks that that can be achieved by verification and accuracy. “There is a huge amount of verification that goes on before a story is published because we have an obligation … not just to tell the story, but to tell it in an accurate way,” she said. Bordeleau thinks that that responsibility extends beyond borders. “One of the most important contributions that us journalists can make is to not just concentrate on our own journalism in this country … but to also make sure that we share our information with journalists in fledgling democracies, because without journalism, you don’t have a democracy,” she said. She advises young journalists to remember that being a journalist is more than about being an individual journalist. Deadline? What deadline? My story is already filed! Do you have a sales prevention department? © 2017 New England Newspaper & Press Association. All rights reserved.